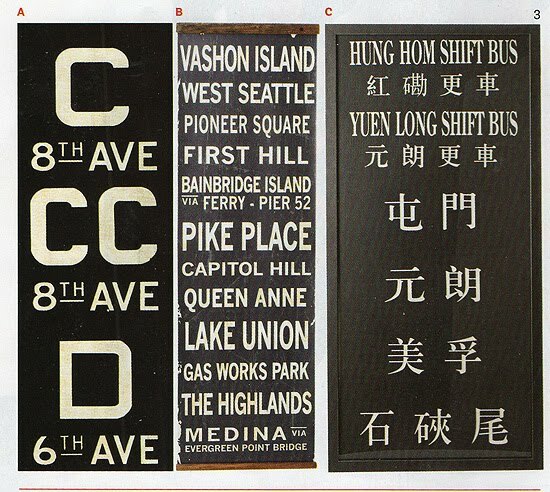 If you're familiar with my website, you may have seen the vintage bus/destination signs that I sell. Well, just popped opened May's House Beautiful to see these signs above. It's inevitable. A trend gets reproduced and mass-produced. So, what do you think? Would you buy a repro for $495? 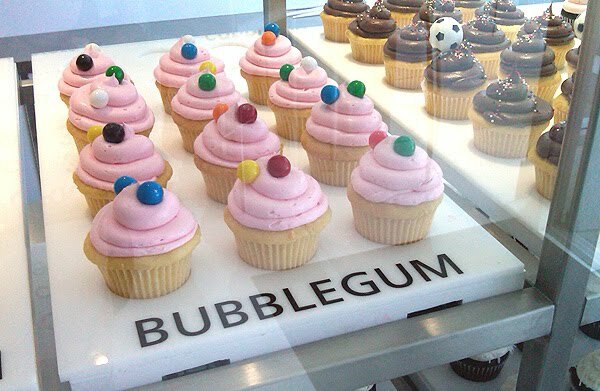 Do you like the custom-made? Has this trend gone to far? I would not. Recently I was in a friend's shop where I saw so many items that I have that are vintage originals that she was selling as reproductions and they were all priced higher than what I paid for the originals. I left there wondering the same thing... who would buy these? I'd rather not have something if it wasn't authentic. This repro trend has gone too far! I never, ever buy repros. Why would you? The thrill is in the hunt! I like BOTH. But rarely can I afford the vintage version of the thing I long for, soooo, if I can find a knock-off that I still really like, well... I'm there. As for the subway signs/bus signs ... in that case, I actually own both originals and Pottery Barn repro's. As for why something that is clearly a repro is priced higher than it's vintage counterpart... I suppose the answer in a nutshell would be (unfortunately) "because it CAN." People - especially those not "in the know" will pay what you ask when it's just a "look" they're shooting for. It's always hard to say. For me personally I prefer the original but for some reproductions work just fine. I think when I buy an original I truly hope that no one finds a way to reproduce something so special to me. I do think that things have gotten a bit out of hand with reproductions and mass selling of vintage pieces. You loose the "thrill of the hunt" feeling that you get when you find a special original piece. I agree...save for the originals. Hopefully one can discover something wonderful before it becomes a "trend" and get in on the bottom floor of pricing. I do like the graphic quality of these signs, but if buying a repro...why not just make you own instead? I'd certainly prefer the original.. it is a piece of history.. no matter how cleverly done, a reproduction is just that.. a reproduction... and to pay this much for a fake.. probably not. As much as I loved bus rolls the very first time I saw them, for me, the trend has gone too, too, far, and is just tired now. Enough already! It's funny I just came across this post because i have an image with an old British bus roll in the background on my blog and so many people have emailed me to ask either what it is or where it's from and I've even gotten emails asking me to buy mine. So I was doing a search to see if I could find anyone who sold authentic rolls and it lead me here! I know that it's popular in the design world but for the most part I don't think people have caught on in the rest of the world. I still love mine. I think I always will as I've been to the places on my bus roll and I looked along time for it. Plus it's real. There are knock off's of everything these days! Almost anything you buy is going to be copied at some point sadly so I think you just have to buy what you love and not worry that a new cheaper version might come out. Plus I just can't help but love old things. They have stories to tell that something brand new out of a factory just can't. And not just in how it looks but in how you found it and who had it before. Maybe that is a whimsical sort of view but it's how I feel. Also I'm glad I found this blog! We just went to round top too! I had a great time but I was mostly looking for industrial pieces. I'm not sure what days you went but next time I think I'll go before all the big shows open and just head to the junk tents. It was much more authentic and interesting. Although I do love the booth designs in the nicer shows. Sorry for my long comment! But it was lovely to find your blog. I've been looking for a reasonably priced original British bus blind forever. I think I'm just gonna have to give in and pay international shipping.